Encompassing the upper level of the building and elevated above the bustle of Bell Street, the Bert & Tot Ballroom is a bright and airy space with daylight streaming in from three sides. 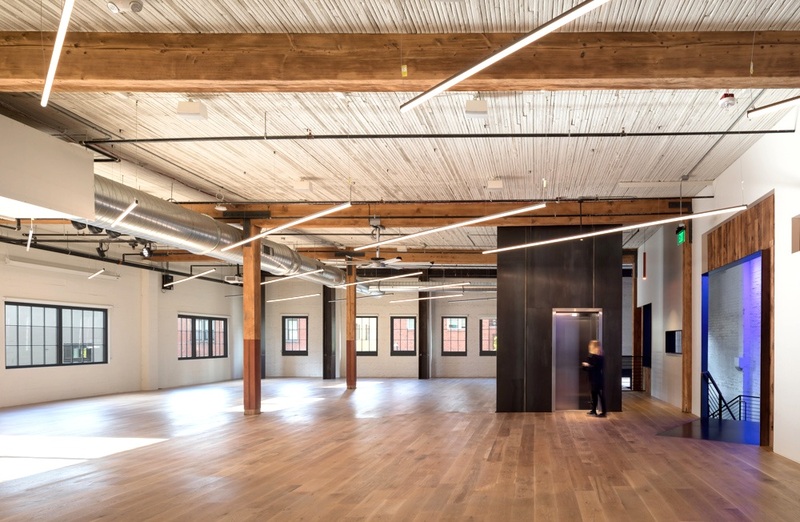 The ballroom is a blend of luxury and industrial chic with wide plank oak floors, brick and board-formed concrete walls, leather-wrapped columns, blackened steel, and massive old-growth timbers. Amenities include a fully equipped prep kitchen, modern ADA rest rooms, a full air handling system and state-of-the-art AV and lighting equipment with two projectors and retractable screens. The ballroom has the added bonus of a private Outdoor Courtyard, a landscaped oasis accessible through a large glass roll-up door. PERFECT FOR: Wedding Ceremonies & Receptions, Non-Profit Fundraisers, Auctions & Galas, Concerts, Networking Events, Seminars, Workshops & Conferences, Food & Wine Tastings and much, much more.